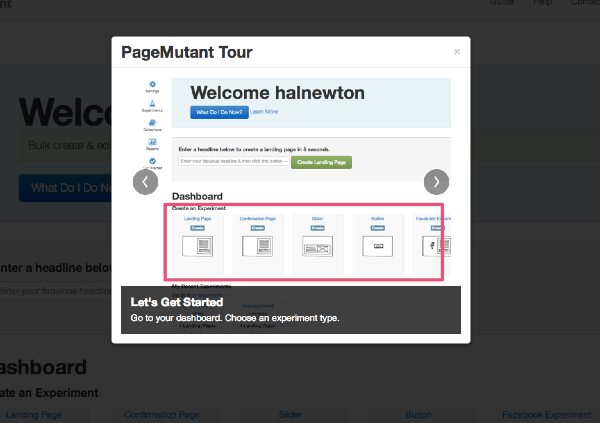 PageMutant Help - Is there a quick tour or guide? Is there a quick tour or guide? You can always get to the Guide in the upper right of the screen. The Guide will take you through the basics so you can get started quickly.